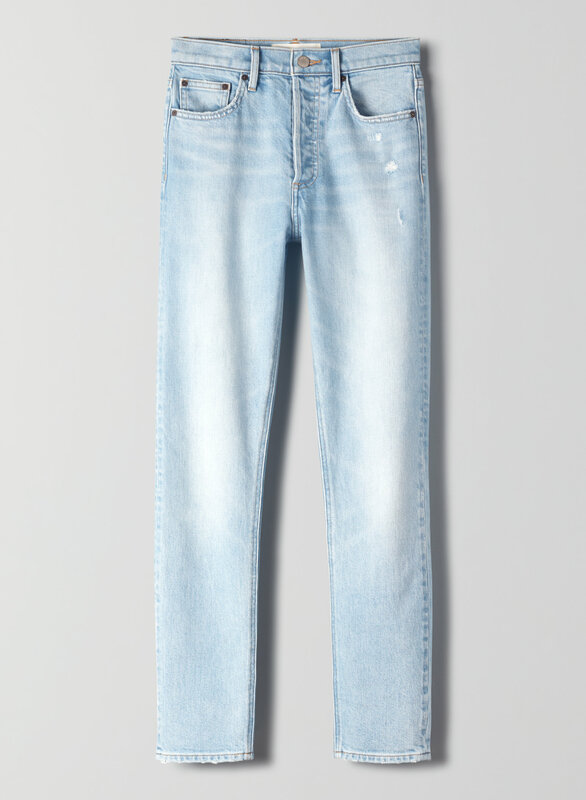 Inspired by women who pushed creative boundaries, the Yoko is Denim Forum’s signature high-rise, slim jean. The Yoko fits like a treasured vintage find that feels good, thanks to a touch of stretch. Premium Italian, organic-cotton denim becomes more beautiful over time — we call it performance art. This version comes in a light blue wash.